When it comes to gore and horror, there have been a lot of game developers in the past few years that tried to produce the best scary video game. Apparently, they cannot beat the gore and horror that Resident Evil created ever since they produced the first video game. In this game review, you will realize that there are some new release of scary video games that adopted the style and gameplay of Resident Evil. Just like the other previous releases, there is still a lot of puzzling parts of the game wherein you really need to pay attention to everything that is happening around your character. The gore and horror is still there since there are new and better ways they will surprise you with scary creatures. 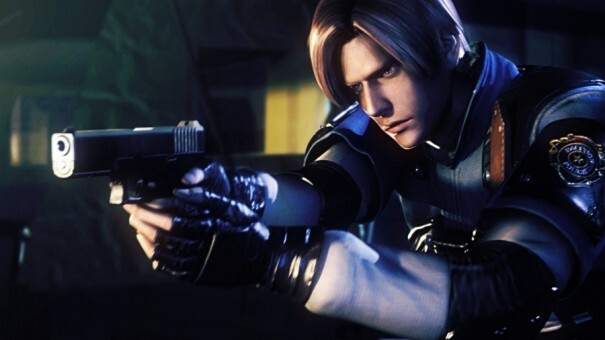 Resident Evil’s secret is the element of surprise. If you noticed in each new release they make they develop a new way of surprising you by means of hardly anticipating a scary creature will appear. Of course the plot or the setting of the game is still as dark and scary similar to the old versions. They also developed another part of the game which makes it like you are watching a scary or horror movie. They highly developed the sound effects and other sound tracks which made this new Resident Evil massively scary. In previous game reviews, you will notice that they barely mentioned about the improvement in sound of any new releases of Resident Evil. You can say that the audio for this new release could get a high score of 10/10 because it really changed the game and you will definitely play the new Resident Evil rather than watching a horror movie. Moving along and talking more about the gameplay of this game there are a lot of new features to expect. In the previous release of Resident Evil they didn’t have a co-op multiplayer mode which is available here in Resident Evil, Operation Raccoon City. This is a great opportunity to play with your friends online and you can even do it as a team. Another interesting part is within the single player mode wherein you can play 4 different characters. In this new release you can play as Spectre, Vector, Beltway and Bertha. Each character that you will play will have a different result in the game story. So if you want to explore the different stories of the game based on each character you should try to play all the 4 available characters. More about the gameplay, since you will be able to play the part of 4 different characters you will really enjoy the thrill of being the evil person. In the previous Resident Evil, some of these options are already available but in the Operation Raccoon City there are more options added in any type of game mode. Generally, you can give this new release a 9.5/10 rating since there were a lot of improvement and new options. This is all about a bit of everything under the sun. Knowing a bit of everything is really important. To those who are really interested in Basketball, Cars, Gadgets, Computers, Games, Movies and Music you came to the right place. Enjoy reading and I hope you will learn something new when you leave this place. Kzee's Collection Copyright 2009 - 2012. Travel theme. Theme images by Roofoo. Powered by Blogger.